Ana received her B.S. in Psychology from Duke University. She then went on to earn her PhD in Neuroscience at Georgetown University, and completed her post-doctoral training at Maryland Psychiatric Research Center at the University of Maryland School of Medicine. Ashley received her B.S. 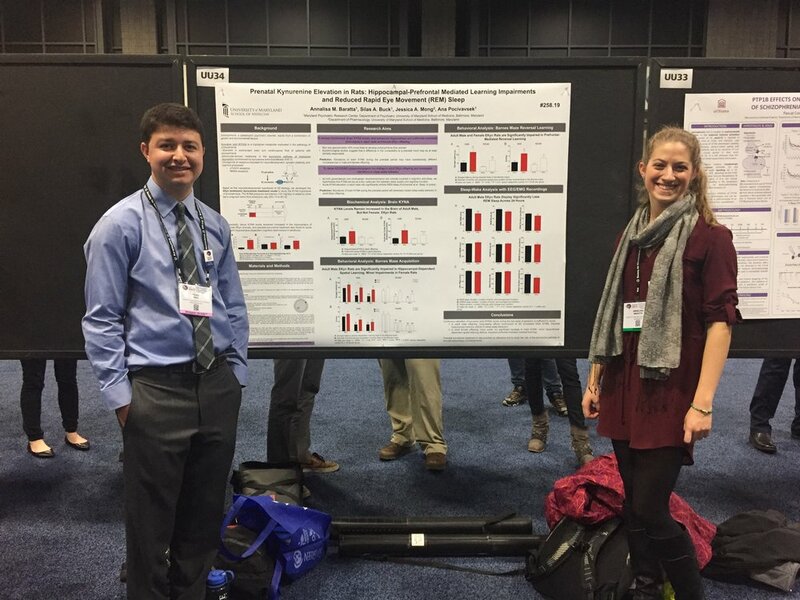 in Biology from the University of South Carolina- Columbia in May 2018. 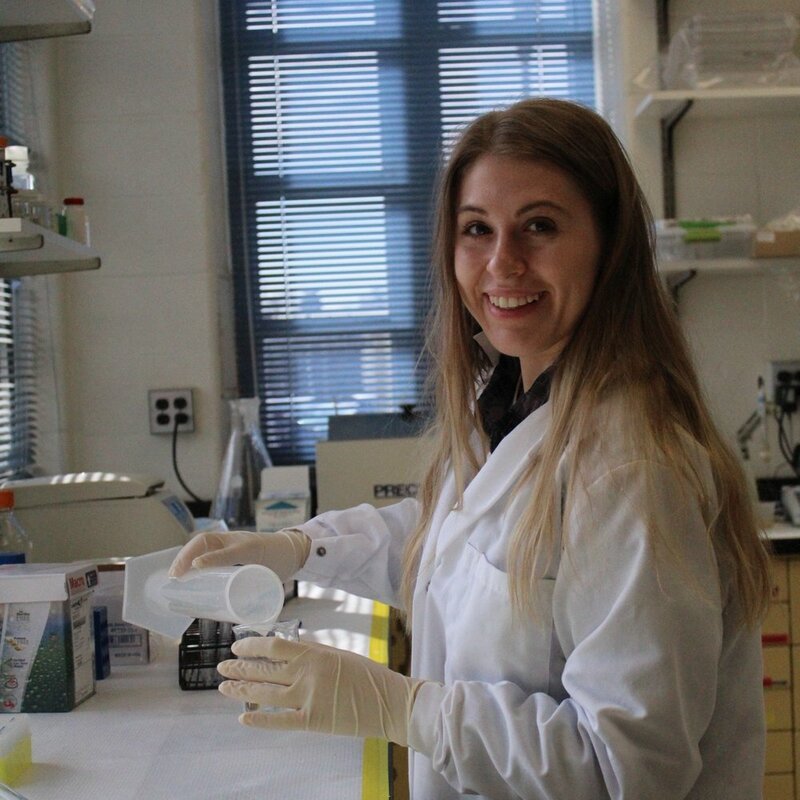 She worked as a Veterinary Assistant before joining the Pocivavsek lab in October 2018. Nathan received his B.S. in Biology from Coastal Carolina University in 2016. He is currently working on completing his M.S. in Biology from Winthrop University. Katie graduated from the University of North Carolina- Pembroke in 2017 with a B.S. in Biology. 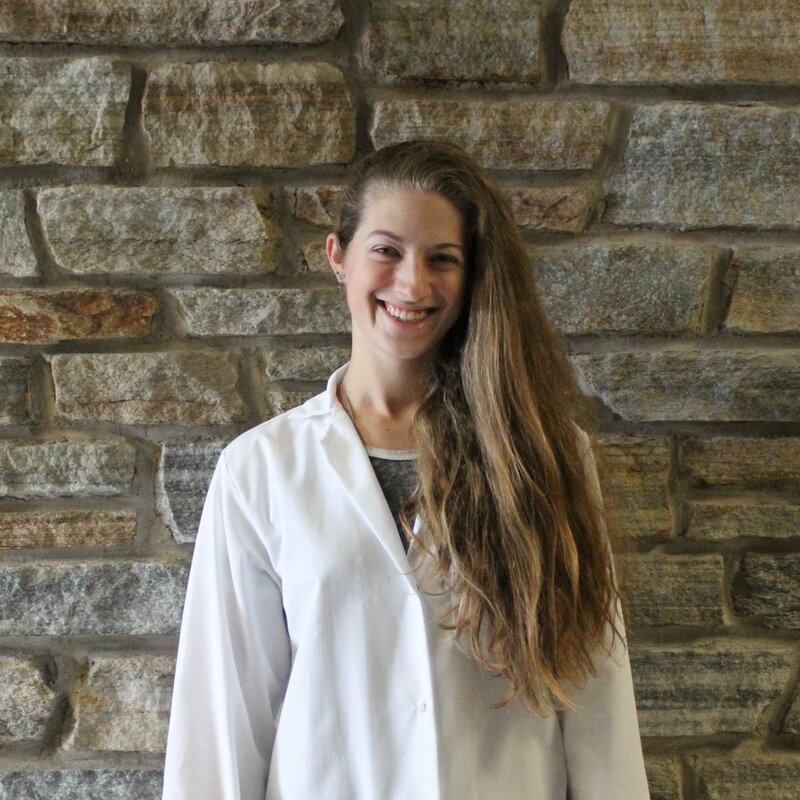 Her previous work in the lab of Dr. Ben Bahr focused on Cathepsin-mediated autophagy signaling in Alzheimer’s drug discovery models. She is now a PhD candidate for the USC- Columbia School of Medicine’s Integrated Biochemical Sciences program. Audrey is a junior studying Psychology at the University of South Carolina- Columbia Honors College. She aspires to go to veterinary school after graduation. Courtney is a junior majoring in Biological Science at the University of South Carolina- Columbia Honors College. She hopes to go on to receive her PhD in Neuroscience after graduation. Ashley received her B.S. in Biomedical Engineering from the University of South Carolina- Columbia in 2014. After college, she spent four years working as a materials engineer for Savannah River National Laboratory. She is currently pursuing her PhD in Biomedical Science.